This past weekend was the first time Iâ€™d played or watched people play senet in years and it was a really fascinating experience. First of all, itâ€™s rather amazing that people are playing a game 5000 years after itâ€™s invention, in a completely different part of the globe. And that itâ€™s not just because that game has been around for that long, but that itâ€™s actually been resurrected from the ground: rather amusing for a game about rebirth! Our fascination with the past led people to dig up these game boards and reconstruct the rules through painstaking research, and has captured peopleâ€™s imaginations enough for several different commercially sold editions to be released over the past few decades. Everyone laughed when they saw the â€˜made in Chinaâ€™ sticker on the bottom of my senet board! Itâ€™s incredible to think that if ancient Egyptians were transported through time to the current day and age, amidst all the televisions, cars, and planes, they could still see people playing senet. In fact, they could even see it being played on television in the hit tv show Lost- the DVD of the show comes with a senet board! Senet provides a different kind of link to the past. Itâ€™s not just an object from antiquity, itâ€™s an experience that allows us to connect directly with the ancient Egyptiansâ€™ actions and emotions. Something similar can also be achieved with reading ancient Egyptian poetry and stories, and Dr. Richard Parkinson has organized performances of the â€˜Tale of Sinuheâ€™ and the â€˜Dialogue of a Man and his Soulâ€™ by actors at the British Museum, the Ledbury Poetry Festival, and the University of Swansea conference â€˜Experiment and Experienceâ€™ (for more on these performances, see Parkinson 2010). Iâ€™ve watched several of these performances and they bring the words to life in a way that cannot be achieved even by reading the original papyri. Another dimension is added through the human voice that connects with the listener directly, making all the passion, fear, despair, and joy in the words seem immediate rather than distantly ancient. Lots of scholars have written about Egyptian games in terms of the archaeological, textual, and visual evidence, but not about the actual experience of playing it. Of course any observations made from playing the game must be taken with a grain of salt since we are not certain about the reconstructed rules. In playing senet this past weekend, everyone really enjoyed the satisfying substantiality of throwing the casting sticks, a more weighty experience than using dice and thus seemingly more significant. Senet is deceptively simple on the surface and its complexity and the importance of strategy become apparent in play. But strategy and the ability to distribute moves between multiple pieces only keeps you safe from pitfalls for so long. Once youâ€™re down to the final piece, a bad throw of the casting sticks can thwart you at the last minute. Itâ€™s generally very difficult to call the winner and a player who seems to be behind can quickly bounce back. 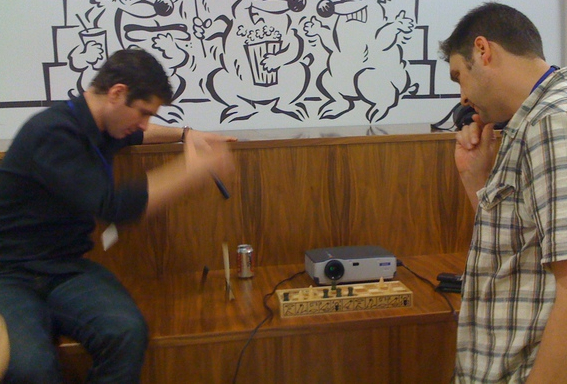 Drama and tension abound and it can get incredibly competitive. The taunts and insults exchanged in tomb captions from the Old Kingdom make perfect sense. In the game pictured below, by the end, both players had a single game piece each, with each only one step away from the finish: it couldnâ€™t get any closer! What I found most intriguing though was afterwards, in discussing the mechanics of the game and potential strategies, I commented on the value of keeping pieces together (moving in teams rather than alone to avoid being captured by your opponent), and that it was best not to get too ambitious and move a piece way ahead of its fellows. Suddenly the words clicked in my head. This wasnâ€™t just a description of senet. It could serve equally well as a description of the Egyptiansâ€™ exhortations about ideal behaviour and the functioning of society. Jan Assmann (e.g. 1989, 85â€“9) views the central Egyptian concept of maâ€˜at (meaning balance, order, rightness, and justice) as rooted in social solidarity, in which the individual plays an important role, but in which individuality is subordinated to cooperation and conformity. The Loyalist Teaching states: â€˜there will be no sleep for the solitary man…. No herd can isolate itself from the walled enclosure, its voice is like the thirsty creatureâ€™s outside the wellâ€™ (10; Parkinson 1998, 240). As Parkinson states, the text presents â€˜the image of mankind as a herd that needs a shepherd (i.e. a leader, king, or god): the herd outside its shelter is prey to animals such as the lion. In the description of a doomed animal, society is presented as a man-made shelterâ€™. Do not overstep, or you will come to be opposed! and wide is the access for the man who has been summoned. all behaviour is by measure. Isolating yourself from society (or your other gaming pieces) and advancing beyond your station (or too far ahead on the board) was frowned upon and punishable. For comparison, European texts from the Middle Ages associated games with upholding the existing social order, presenting chess as a manifestation of the divine order of the universe. The gameâ€™s rigid rules were used to teach Christian dogma and morality: that God moves humans according to his plan, and the strict social hierarchy cannot be transgressed (Rasskin-Gutman and Klosky 2009, 91). The role of game metaphors in shaping worldview have also been discussed by the cognitive linguists George Lakoff and Mark Johnson. They suggest that our conceptual systems are fundamentally shaped by cultural constructions; metaphor is an active, conceptual framework that is central to how we understand the world (Lakoff & Johnson 1980, Lakoff 1990). For example, we frame our understanding of complex, abstract concepts through metaphors, comparing war to games by likening soldiers to pawns and using phrases like â€˜the rules of the game have changedâ€™ about combat, and viewing â€˜Lifeâ€™ in terms of gambling game metaphors, especially in the face of adversity, using phrases like â€˜thatâ€™s just the luck of the drawâ€™. Any connection of senet with Egyptian views on society is pure speculation and there isnâ€™t any evidence of the Egyptians using senet as a metaphor for society, but itâ€™s possible that these concepts may have influenced the game design or have figured in peopleâ€™s experience of playing. A better understanding of the game as an experience, not just a collection of boards and a set of reconstructed rules, might help us further grasp its role in Egyptian culture. Today people all over the world are still drawn to trying to connect with ancient experience, whether it’s walking the streets of Pompeii or even making ancient Egyptian socks. Until we can climb in a time machine, playing senet might be one of the best ways of creating a connection between ourselves and the past. Assmann, Jan 1989. MaÃ¢t: l’Egypte pharaonique et l’idÃ©e de justice sociale. Paris: Julliard. Lakoff, George, and Mark Johnson 1980. Metaphors We Live By. Chicago: University of Chicago Press. Parkinson, Richard B. 1998. 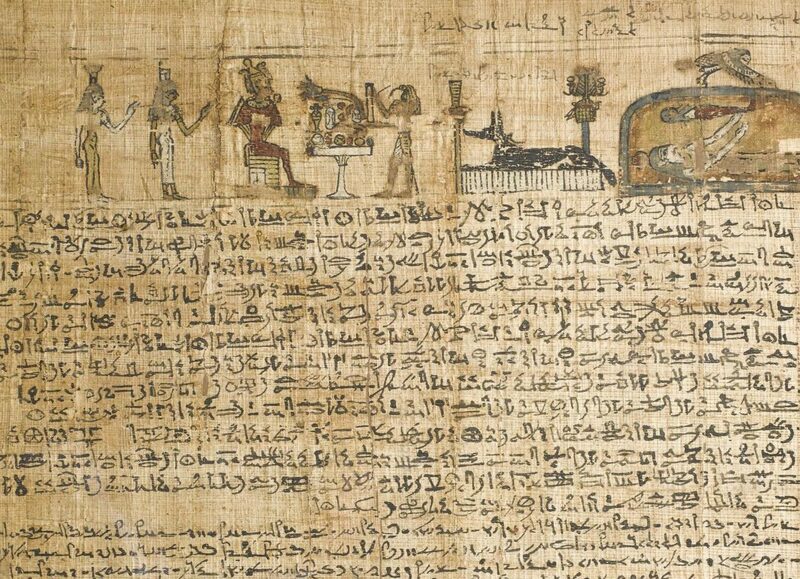 The Tale of Sinuhe and other ancient Egyptian poems, 1940â€“1640 BC. Oxford World’s Classics. Oxford: Oxford University Press. Ã‘ 2010. La mort de la poÃ©sie: lâ€™histoire des MÃ©moires de SinouhÃ©, Bulletin de la SociÃ©tÃ© FranÃ§aise dâ€™Ã‰gyptologie 176, 7-29. Rasskin-Gutman, Diego, and Deborah Klosky 2009. Chess metaphors: artificial intelligence and the human mind. Cambridge, MA: MIT Press. This past weekend was the first time Iâ€™d played or watched people play senet in years (see the post below for an introduction to ancient Egyptian board games). It was a really fascinating experience and it made me think about how the actual game play is perfectly in tune with the ancient Egyptian conceptualization of society. But before all of that: first of all, itâ€™s rather amazing that people are playing a game 5000 years after itâ€™s invention, in a completely different part of the globe. And that itâ€™s not just because that game has been around for that long, but that itâ€™s actually been resurrected from the ground: rather amusing for a game about rebirth! Our fascination with the past led people to dig up these game boards and reconstruct the rules through painstaking research, and has captured peopleâ€™s imaginations enough for several different commercially sold editions to be released over the past few decades. Everyone laughed when they saw the â€˜made in Chinaâ€™ sticker on the bottom of my senet board! Itâ€™s incredible to think that if ancient Egyptians were transported through time to the current day and age, amidst all the televisions, cars, and planes, they could still see people playing senet. 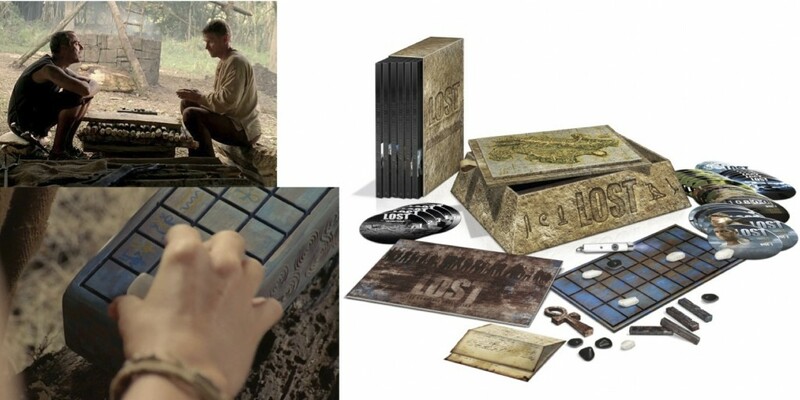 In fact, they could even see it being played on television in the hit tv show Lost– the DVD of the show comes with a senet board! Jan Assmann (e.g. 1989, 85â€“9) views the central Egyptian concept of maâ€˜at (meaning balance, order, rightness, and justice) as rooted in social solidarity, in which the individual plays an important role, but in which individuality is subordinated to cooperation and conformity. ‘The Loyalist Teaching’ states: â€˜there will be no sleep for the solitary man…. No herd can isolate itself from the walled enclosure, its voice is like the thirsty creatureâ€™s outside the wellâ€™ (10; Parkinson 1998, 240). As Parkinson states, the text presents â€˜the image of mankind as a herd that needs a shepherd (i.e. a leader, king, or god): the herd outside its shelter is prey to animals such as the lion. In the description of a doomed animal, society is presented as a man-made shelterâ€™. The role of game metaphors in shaping worldview have also been discussed by the cognitive linguists George Lakoff and Mark Johnson. They suggest that our conceptual systems are fundamentally shaped by cultural constructions; metaphor is an active, conceptual framework that is central to how we understand the world (Lakoff & Johnson 1980). For example, we frame our understanding of complex, abstract concepts through metaphors, comparing war to games by likening soldiers to pawns and using phrases like â€˜the rules of the game have changedâ€™ about combat, and viewing â€˜Lifeâ€™ in terms of gambling game metaphors, especially in the face of adversity, using phrases like â€˜thatâ€™s just the luck of the drawâ€™. â€” 2010. La mort de la poÃ©sie: lâ€™histoire des MÃ©moires de SinouhÃ©, Bulletin de la SociÃ©tÃ© FranÃ§aise dâ€™Ã‰gyptologie 176, 7-29. Oh my goodness! 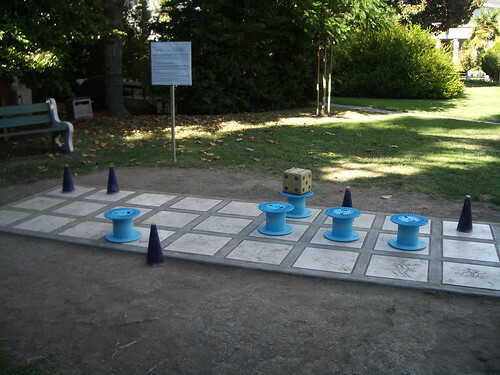 I have got to get to the Rosicrucian Museum and play that senet board, if it’s open to the public! And now I wish I had watched more of Lost; kudos to them for adding the game. Your remarks about the meaning of senet make perfect sense, and gets me to thinking also about how Nine Man’s Morris, chess, or Roman “Rota” may reflect on those cultures. Perhaps we are simply treating these games as Rorschach tests, projecting an interpretation. But for example, Rota is like tic-tac-toe, except that it can never end in deadlock; you just keep shifting the pieces around forever until you win or get stuck in a perpetual stasis. Two factions, identical pieces. The Roman Empire lasted a long time shifting things around without really changing anything fundamentally. Whereas chess has a clear hierarchy, and pieces continually “die” or, on rare occasions, get promoted. The serf/knight/clergy hierarchy is right there on the board. Back to senet. On a non-academic front, it’s just FUN. I had senet board when I was small and loved it. My mother made a portable senet for camping trips: she drew a board onto a cloth napkin with a sharpie, made the “bones” by decorating popsicle sticks, and then we had white and black pebbles for the pieces. Simple, yet an odd way to be spending a rainy day in the tent. There is something magic about bringing the ancient world to life again. It’s immortality, although not quite in the way the Egyptians were hoping for. Too bad there are as many sets of rules for senet as there are manufacturers of senet boards, and all of them completely hypothetical. Indeed, your comment “it’s rather amazing that people are playing a game 5000 years after itâ€™s invention” is a vast understatement. Not only is it rather amazing, it is rather impossible. The rules, assuming there were any that were codified, have long been lost. It’s like trying to reconstruct Egyptian music from relief inscriptions of the Old Kingdom: nice to think about but ultimately wrong save through blind luck, with no way to verify even if it was correct.